Kathy wanted a business name that reflected something from nature. Trillium is a unique and rare flower only located in certain areas of the country. This is to reflect the massage technique that Kathy uses to create a unique and revitalizing massage experience. 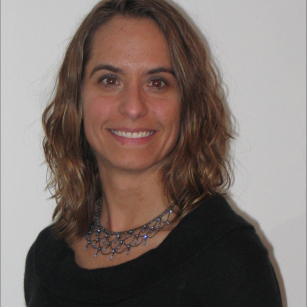 Kathy is a Licensed Massage Therapist, who has been nationally and state certified since 2004. Trillium Massage was created in 2005 based on the mission to provide quality massage services with flexible scheduling options while maintaining value and building long lasting relationships for Oconomowoc massage. "If you are looking for a massage therapist in the Lake Country/Oconomowoc area Kathy at Trillium Massage is your girl. Kathy has so much passion and knowledge for what she does. I recommend her to everyone. Now my whole family goes to her. You won't be disappointed." Kathy Gurka, at Trillium Massage, has been the first LMT that I recommend to my patients ever since meeting her 8 years ago. I have full confidence in Kathy's skills and find that her expertise is invaluable. I always know that any referrals I send will get outstanding quality care. "From weekend-warriors to stay-home mommies" barely covers it for her, Kathy can do it all.